Having mentored each of these students throughout their college years, I know that they share many qualities of excellence — vision, brilliance, integrity, drive, hope, and a desire to give back. They also share something else: Each was supported through college with a Pell Grant — a partial scholarship provided by the Federal Government of up to $5,775 awarded to students from, roughly, the lower 40 percent of American household incomes. Pell Grants were created by the Johnson Administration through the Higher Education Act of 1965 to encourage colleges to provide ladders of educational opportunity that would help both low-income students and our larger society. Sadly, 50 years later, the value of the Pell Grants has eroded greatly, and lower income students are dramatically underrepresented at America’s finest institutions — from Ivies to state flagship institutions to top private colleges — where the graduation rates are highest and the financial aid packages strongest. One study showed that only 14 percent of American undergraduates at the top 250 institutions come from families making less than $50,000 per year. It’s not that the college-ready talent isn’t out there. Research in 2013 by the economists Caroline Hoxby and Christopher Avery revealed that tens of thousands of academically strong low- and moderate-income high school students per year do not even apply to the strong colleges for which their grades and SAT scores show they’re qualified. So why do we have this opportunity gap? First, because many students, especially those in under-resourced public school districts, lack access to informed college counselors. Despite a stellar record, my student Markera was told by her high school that she should attend a local open access institution with a 25 percent graduation rate. She applied to F&M on her own initiative after visiting the campus with an Upward Bound program. That said, the major reason there aren’t enough students like Markera in the best colleges is because those institutions — supposedly experts at identifying promising students — are failing to find them. Collectively, we’re leaving far too much lower-income talent on the sidelines. We shouldn’t deceive ourselves about the fact that the problem of college “undermatching” is corrosive to America’s future. It limits our ability to cultivate the leaders we need from every community and income group. It undermines the ideas of American meritocracy, cross-class cohesion, and democracy. It isolates our upper-income students into privileged university enclaves, which does them no favors, and it deprives lower-income students of the opportunities they have earned. This is a deep societal problem, but we can fix it—and the success stories of Markera, L’Oreal, and Michael point the way. It was no accident that the three of them ended up together at Franklin & Marshall, a highly selective liberal arts college known for academic rigor and alumni success. During the past four years, we have developed a comprehensive talent strategy to recruit, support, educate, and launch into post-graduate success top achievers from all income groups and zip codes. We call it the Next Generation Initiative. Through it, F&M has nearly tripled the population of incoming Pell-eligible students — from an average of seven percent between 2006 and 2008 to an average of 18 percent between 2011 and 2014. Overall, we have increased the percentage of incoming students eligible any financial aid from 37 percent in 2008 to 56 percent in 2014. I suspect that few institutions have ramped up their aid-eligible and Pell-eligible populations so much so fast. To pay for it, the board of trustees doubled F&M’s need-based financial aid budget from $5.8 million for the incoming class in 2008 to $13 million in 2014. We also phased out so-called “merit” aid — scholarships or tuition discounts given to students regardless of financial need, which many colleges award to upper-income students as a strategy for generating much-needed operating revenue. The Next Generation Initiative is a renewal of the College’s longstanding commitment to academic excellence. Why? Because as we’ve increased the number of students receiving financial aid, we’ve made Franklin & Marshall stronger academically, which is what our faculty, board, students, parents and alumni value most. The myth is that economic diversity weakens academic excellence – but that’s not what happens when a school enrolls star students like Markera, L’Oreal, and Michael and then educates them well. Our data bears this out. From 2011 to 2014, the first-to-second year retention rates of F&M’s newly large cohorts of Pell students averaged 95 percent — higher than the student body as a whole. 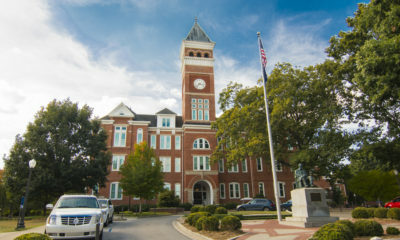 The four-year graduation rate of Pell students who entered in 2010 is 86 percent — four points higher than the class as a whole. But high retention rates and graduation rates are just the floor of our aspirations, not the ceiling. That’s why it’s exciting to see that, the average composite GPAs of Pell and non-Pell students have consistently landed within the same B band. Ten rising seniors from Miami whom we recruited together with the Posse Foundation in 2012 to study in science, technology, engineering and math (STEM) fields are earning outstanding grades and have held prestigious STEM internships in the summers. Other first-generation students have won national fellowships like the Harry S. Truman Scholarship, the Thomas R. Pickering Foreign Affairs Fellowship, and the George J. Mitchell Scholarship. It’s now clear that the Next Generation Initiative is strengthening the College’s institutional profile and competitiveness, which helps every student and all alumni. For example, in 2015, applications soared to a record high of 7,140. We have sustained five straight years of 39 percent or lower admit rates — for the first time ever. We have steadily increased enrollment of students from the South and West. Our average SAT scores were 19 points higher during the high-aid years of 2011-2014 than in the low-aid years of 2006-2008. Fundraising for financial aid has reached a new high. And then there’s a human factor that’s just as real as rising metrics. Markera, L’Oreal, and Michael made F&M a better college for every student, modeling academic excellence and making friends broadly among varied student communities. So, how would I describe the shared investment of Franklin & Marshall College and the Pell Grants program in these students? Here are seven early lessons from the Next Generation Initiative. It’s about talent. F&M has become a much more diverse campus, which enhances learning, but increasing diversity is not our primary goal. Our goal is to give talent, in its many forms, access to opportunity. But what is talent? It seems easy to define it at the end of an undergraduate career. But how do we identify high-achievers before they’ve proven themselves in college? The first step is for an institution to know itself, by which I mean to develop a theory about the kinds of students who succeed in its particular culture and programs. In our case, F&M prizes academic rigor. We have small classes that reward consistent student engagement and require a good deal of work. So students who thrive here have intellectual ability, motivation, a growth mindset, a strong work ethic, persistence, a love of inquiry, optimism, and the ability to learn with faculty and peers. Where do we see these talents? Certainly in students’ high school transcripts — and also in life experience and in students’ history of going after every available learning opportunity. In these respects, many low-income high school students shine. Increasing need-based aid is a big tent strategy. When F&M ramped up financial aid, we increased it broadly for all eligible students rather than adopting a Pell-only strategy. Nearly 90 percent of American families need some financial aid to send a child to one of the nation’s strongest colleges. In order to attract high-achieving students whether they needed a great deal of aid or only a little, we made the commitment to meet all students’ full demonstrated need. Skeptics might suggest that growing need-based financial aid could cause an institution to lose out on wealthier students, who might receive discounts from other colleges in the form of “merit” scholarships not based on need. The opposite seems to be happening at F&M. We think we know why: By investing in aid to strengthen the student body, we have made F&M more attractive to those full-pay students who yearn for a vibrant, diverse campus. Evaluating the student experience and making adjustments in real time are crucial. As we developed the Next Generation Initiative, we made greater efforts to assess student outcomes, identify needs, and work with pre-college partners to prepare students for success. Simple things like peer-mentoring programs, streamlined work-study processes, health insurance for those who need it, and family nights around the country have increased student success. Indeed, such gestures can have profound symbolic significance, allowing students to feel known and valued. While F&M works to respond to student needs, there’s such a thing as over-reacting to anticipated student weaknesses. When institutions do that, they can erode confidence. F&M has not created special academic interventions for our Pell-eligible students or hired costly teams of social workers to help them overcome the hidden injuries of class. The students we’re enrolling are an excellent academic fit. We don’t coddle them and we don’t label them as high-risk or limit their freedom to find their academic passion. We expect effort and show all students the respect of high standards, seeing them as no less than the very future of our country. There’s strength — and community — in numbers. In years past, Franklin & Marshall College was not known for the diversity of its student body. In particular, some low-income and African American alumni share stories of feeling isolated and unseen during their years on campus. This has now changed. F&M’s percentage of domestic students of color has more than doubled since 2005, to 21 percent from 10 percent. Today, the main floor of our student center bustles with students from many communities and cultures. Our fraternities and sororities are becoming more inclusive. The elected president of the student body is Donnell Bailey, a first-generation college student from New Orleans who survived Hurricane Katrina with his mother and grandmother. Greater inclusiveness invites every student to reflect upon the dynamics of sameness and difference — and that benefits developing adults of every income group. It’s essential to help students prepare for life after college. This is one of higher education’s greatest strategic opportunities — to enhance our value by helping students launch into lives of meaning and influence. F&M embraced this mission when, three years ago, we collapsed our traditional career center into a bigger, more aspirational Office of Student and Post-Graduate Development that serves all 2,300 students. Finally, there’s more to learn, and we must remain open-minded. We don’t know yet every pothole we might hit or every discovery we might make. Already, we’re forming new hypotheses. For example, we suspect that having a significant international student population from some 40 countries has facilitated the campus’s adjustment to greater domestic diversity. We intuit that the rigor of our classes, the high student engagement expected, and the lack of grade inflation might level the playing field for many of our first-generation students whose strengths could be less likely to emerge in the lecture courses of larger institutions. And we’re wondering if the work-study job, rather than being a drain on students’ time, could actually provide experience, mentoring, structure, and skill building. We know, of course, that we’re by no means the first institution to innovate in providing access. In 2005, Brandeis University and the Posse Foundation created a model for recruiting clusters of students interested in STEM from underrepresented communities that has since been adopted by liberal arts colleges like Pomona, Davidson, Smith, Middlebury and Bryn Mawr, along with F&M. In the 2000’s Amherst College significantly enhanced socioeconomic diversity under President Anthony Marx, and Vassar College has done the same recently led by President Catharine Bond Hill. Institutions as diverse as Susquehanna University, Grinnell College, and the University of California-Berkeley have used robust need-based aid budgets to create strong pipelines of low-income students. Some have begun to ask if we can “scale our model.” Maybe we can, but I suspect that’s not the best impulse. I would argue that each institution so inclined should develop its own model for the access and success of low-income students — defined according to its own academic culture, its distinct mission and goals, its own success metrics, and its own narrative. In other words, F&M’s Next Generation Initiative should look different than that of the University of Texas — and probably serve some different types of students. But both approaches bring value to the national conversation and to the countless low-income students who have something to offer America if top colleges will give them a chance. Markera, L’Oreal, and Michael, weren’t the only first-generation Pell-students to stride proudly across the F&M commencement stage in May. So, too, did Katrina, whose family lives just outside Allentown, Pennsylvania. Katrina graduated with a 3.7 GPA as a neuroscience major while earning high honors as a music minor. As a first year student, she helped write the constitution of a new residential community. She spent a summer planning new student orientation. She became a leader in her sorority. She conducted research on the brain with a professor. And, next year she will use her rigorous F&M education at the University of South Florida Medical School — and then serve for at least four years in the U.S. military. And by the way, Katrina didn’t just walk across the stage in front the thousands of gathered family members. As the rain held off, it was she who sang the national anthem of the country she loves. Katrina’s success — and the success of so many more talented Pell Grant recipients — is a key part of our nation’s future. America’s leading colleges and universities can do much more to create that future, and society should expect no less from us. 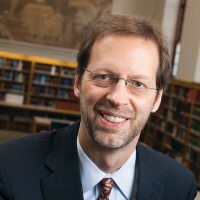 Daniel Porterfield has served as president of Franklin & Marshall College since 2011. Prior to his appointment at F&M, Porterfield served as senior vice president for strategic development at his alma mater, Georgetown University, and as a senior aide to U.S. Secretary of Health and Human Services Donna Shalala. He was awarded a Rhodes Scholarship and a Mellon Fellowship in the Humanities, and earned his Ph.D. in English at The City University of New York Graduate Center.